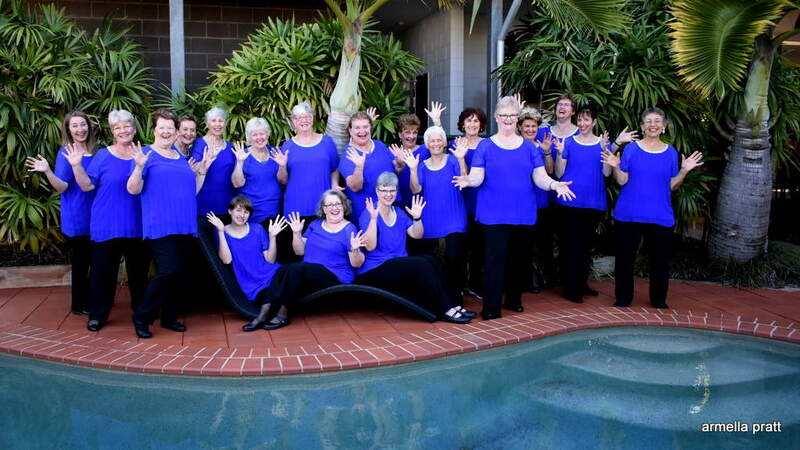 Hervey Bay A Cappella Bay Singers is a show chorus of women singers who perform exciting musical arrangements in close four-part harmony, without musical backing. The A Cappella Bay Singers entertain throughout the Fraser Coast community for both private and community organisations. We cover a wide range of musical styles including jazz, blues and more contemporary arrangements. For those who love harmony, the Hervey Bay A Cappella Bay Singers provide a rewarding opportunity for this wonderful art form. The best part about us is no experience necessary, only enthusiasm and willingness to learn. What brings us together is our love of music. If you are a woman of any age and enjoy singing, why not think about joining our fun chorus. 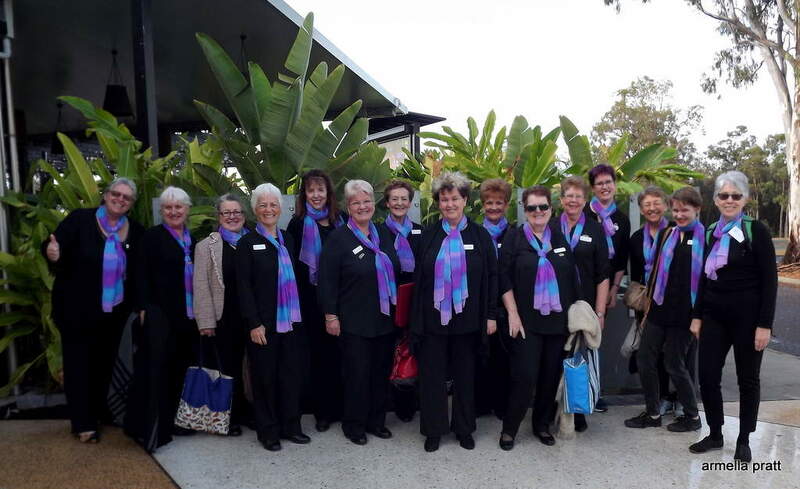 Based in Wide Bay, the A Cappella Bay Singers became affiliated with the world-wide singing organisation Sweet Adelines International and Sweet Adelines Australia in 2007. 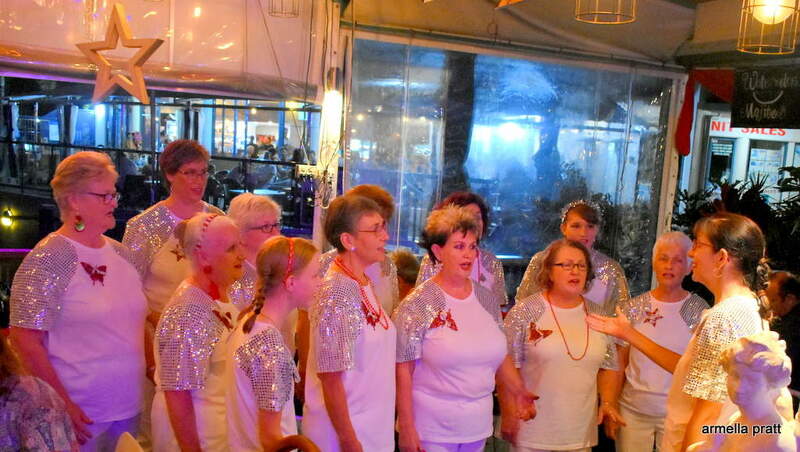 This means as a member of A Cappella Bay Singers you will have support from the Sweet Adelines organisation which includes vocal training, performance techniques and management opportunities. You will also be part of 30,000 women world-wide who have fallen for this exquisite art. As a member of A Cappella Bay Singers you will automatically receive benefit of international membership of Sweet Adelines. So if you like singing well-known popular songs, meeting new friends, achieving personal goals, participating in community events and having loads of laughs, we would love you to join us. We provide training in breathing, vocal production and visual performance, assisting all members in developing their skills over time. It is not a requirement to read music or have a trained voice but you should be able to sing in tune and hold your part in your section. The A Cappella Bay Singers are holding a Family & Friends concert on Sunday 28th of April at St John's Church Hall, Cnr Of Doolong & Gilston Roads, Hervey Bay. We have been practicing for the Sweet Adelines National Singing Competition held in Hobart in May. Everyone is looking forward to going to Hobart and shining on stage as we proudly represent the Fraser Coast Region. We have some exciting plans for 2019, so Like us and Follow us on Facebook to keep up to date with all of our events and news. Come and join us, we would love to meet you and share our love of singing.